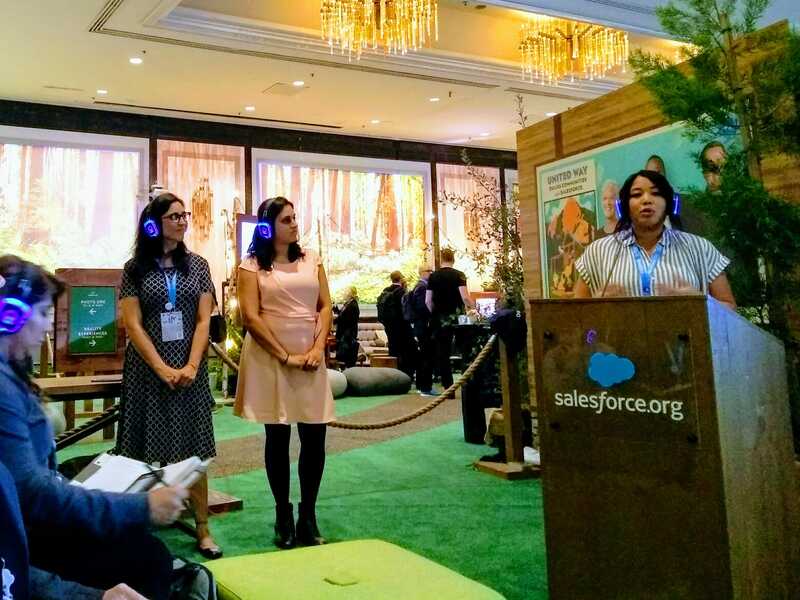 With my fourth Dreamforce under my belt, I’m used to the conference routine: frantically scouring my Agenda Builder to find technical sessions and keynotes to fill the day. Setting meetings with the Playworks Solutions team and our national Salesforce department leaders who join us each year to lay out our big questions, outcomes, and chat about innovations we’re excited to bring back to Playworks at the end of the packed week. Giving myself small reminders to take breaks often, stay hydrated, and make time to connect with the people around me. This year was a little different. 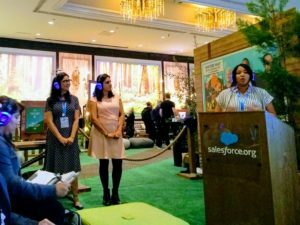 For the first time in my career I was selected to speak at Dreamforce! It was, and still is, a huge honor to have been chosen to share the stage with two fellow brilliant minds, Marisa Lopez of Presence Product Group and Aparna Kothary of Global Citizen Year. 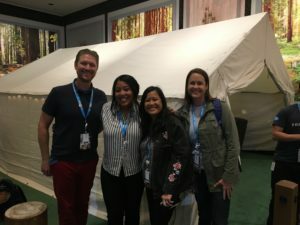 As volunteer members of Amplify, a nonprofit dedicated to empowering underrepresented voices in the Salesforce.org ecosystem to become fearless leaders in technology, we presented Configuring Equity to an eager audience of nonprofit attendees at the Salesforce.org Lodge.  Configuring Equity joined the ranks among hundreds of amazing sessions taking place that week! 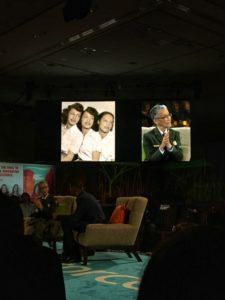 With the goal of sharing concrete strategies to amplify underrepresented people in nonprofits and in tech, it is an immense honor to lend my own voice and perspectives to the national conversation on diversity, equity, and inclusion at one of the largest technology conferences in the country. 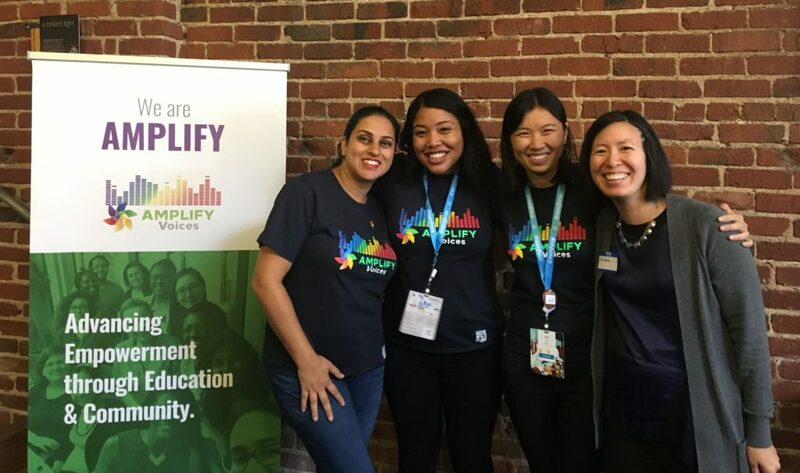 Representation matters, and as an emerging nonprofit technologist who identifies as a nonbinary femme of color, holding space with two fellow leaders of color speaks volumes! 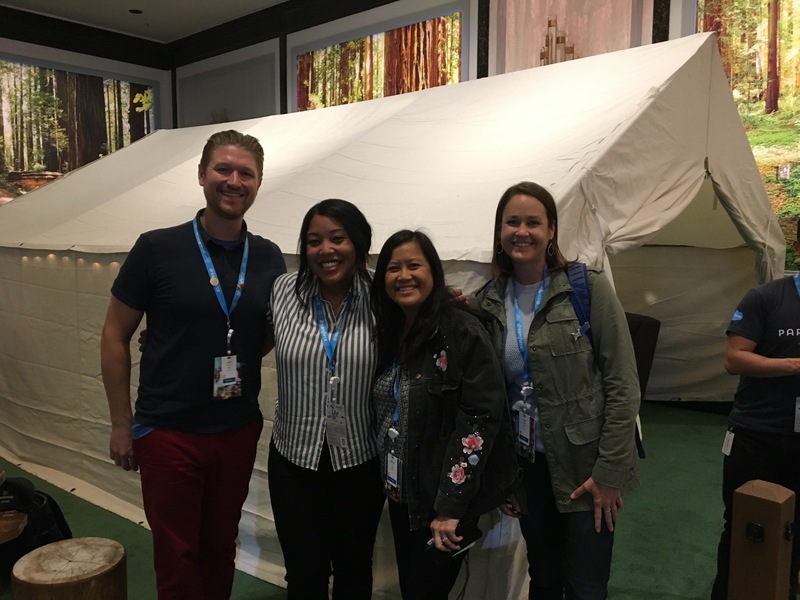 I had the opportunity to hear her speak at TrailheaDX, Salesforce’s annual developer conference, earlier this year where she was honored as an Equality Trailblazer to highlight her rich legacy of activism and leadership in the San Francisco Bay Area and beyond. So many parts of Betty’s story resonated with me, and this bit and byte reminded me of the power and importance of meaningful, deliberate inclusion of all people in spaces, and of the immeasurable power of voice when underrepresented people are able to center their experiences to invoke immense change. In my portion of our presentation, I posed a question to the audience: could you imagine what would have been lost if not for her work and her voice? The presence of someone like her is no small act. It is my belief that our conversations on diversity, equity, and inclusion begin, first, with highlighting the lack of representation in our spaces, and to be courageous in taking steps forward to involve all voices and to then work together to resolve gaps. 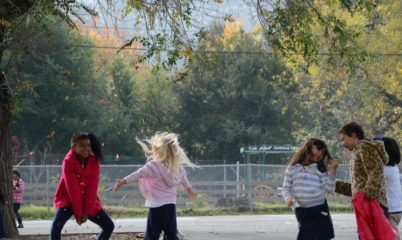 When we take notice of who is, and isn’t, present in our spaces what are we doing in our work and in our communities to practice authentic equity and inclusion? 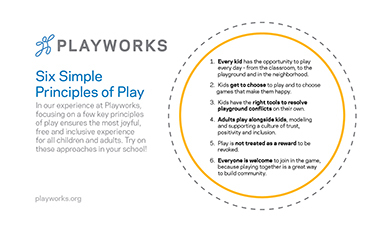 One method of addressing this lives within our Six Principles of Play here at Playworks, where we believe that everyone is welcome to join the game as a means of building healthy communities through the power of play. As I move through fall and begin to take stock of the year behind and the one ahead, I think about the ways this principle shows up for me through my role at Playworks supporting our coaches and office staff to navigate our systems confidently in service of our work at schools across the country, to my volunteer work of building a network of empowered leaders in tech through Amplify, to my own connections to community, home, and family here in the Bay Area. Centering equity and inclusion continues to the be the enduring thread driving my work for justice at all levels. Yes, it has been time to include as many diverse perspectives, people, and experiences by any means available or those yet to be imagined—through play, through stories, and in any small or big way we can dream. Yes, it has been time to be courageous. Yes, it is time to amplify us.